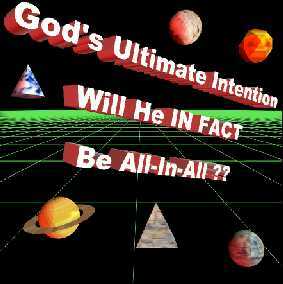 ← Universal Salvation, Is Everybody Going to Be Saved? (Ver 1.2) Today is Part 2 in the lesson series about the subject of Unieveral Salvation. I really just introduced this subject in my last lesson. If you did not read this series from the beginning, I would recommend that you go back and start with “Part 1“. In the first lesson, I alluded to the fact that I have heard several people try to teach this and they have attempted to convince me repeatedly that they were absolutely correct and that I was the one that was absolutely wrong. They would give me Bible verses and I would just have to say Yes, I know that, but…” DId you know that no deceived person knows they are deceived? The greatest danger of being deceived is the individual’s acceptance of the lies to be the truth. Rather than reviewing all of the Bible verses they were giving to me, let’s talk about some other Bible verses that they have obviously ignored or refused to look at and study. Whenever one group of people preach something that is wrong, it is usually a result of not knowing what else the Bible says on the subject. Selective theology is a predominate fallacy of deception that people fall into sometimes way too easily. But, it is also very difficult to get these types of people to see the truth, since they do not want to know what is truth. In fact it is almost impossible to get anyone to see what they do not want to look at. You could be attempting to show them one of the greatest revelations of all time from God’s Word that God himself has taught you personally and just because it is something new or different, people automatically reject it and refuse to see it. Believe me I know this for a personal fact, it can be very discouraging if you let it get to you. I guess it is just a basic human characteristic to not accept something new that is presented to you, after all we are bombarded by false teachings every day. In this verse from Matthew, Jesus is clearly talking about the end of the world. A time that we are living very near to and within our sight, right now. Jesus clearly says that the angels will be given the task and assignment to separate the wicked from the just. The Greek word for “sever” in this verse is a word that means to divide. To divide literally means to make two separate groups. If you recall from my last blog I told you about these two groups. Those of the Day and those of the Night. God will send His angels to separate those who live in the Light from those who live in the darkness. There will be a division of those who have accepted His salvation from those who have rejected His salvation. Those who are said to be wicked from those who are called the righteous. You know I did not write the Bible, God did and people easily just discount these words as being not important or that they simply think that they do not apply to them. Nevertheless that does not change what God said. Here is another very clear verse that speaks about a prophetic event soon to occur. Again we can clearly see another reference to a “division” that is occurring. This verse says that God will gather every nation to stand before Him. It then does not say that everyone will be saved, does it? No it actually says the complete opposite. Let’s start by acknowledging that this verse is referring to every possible group of people on the earth that currently exists, every people that existed in the past and every group that could possibly exist in the future. In other words Jesus did not leave out any nation of people on the earth, it is an all-inclusive statement Why would you divide your sheep from your goats? Who do the sheep represent and who do the goats represent? These are clearly symbolic references to something that will soon occur in the spiritual realm, whether you choose to believe it or not. Did you realize that it doesn’t matter if you believe something will happen, for it to actually happen to you. Things happen to you every day that you did not believe would happen. I wonder how many people in the World Trade Center would have believed that an airplane would intentionally fly into them on 9/11/01? Even though I am not a gambling man, I would be willing to bet you that none of them expected that to happen and yet it did. I know I was at home watching it live on TV and I know I still couldn’t believe what was going on. These terrorist certainly pulled off a major unexpected attack on American soil. I would be shocked if it doesn’t happen again. But that is my opinion and I normally don’t give you my opinion on anything. Finally, in this verse we can see that to the goats on His left hand He clearly says for them to “depart from me”. Where did these goats come from? They came from the same nations of people that were divided on the right hand of God. That does not sound like Universal Salvation to me, does it to you? Did you also notice that God is not talking to Satan and his demons? If you carefully read this verse correctly, you will see that there is a place that was called “an everlasting fire” that was prepared or created originally for Satan and his angels. But, yet God is not talking to Satan when he tells these goats to depart from him. We can clearly see that hell exists in this verse and it describes it as a place of eternal torment and punishment. No you are right it does not call it “hell”, but what else would you call it from this clear description. A place that is not good, a place that will not be an eternal party or a place to have fun. Have you ever been near a raging fire on the earth, now imagine having to be in that fire and not just standing near it. So, why do people go to hell, if hell was created for Satan and his angels as this verse in Matthew says? In order to answer that question you have to understand Bible covenants. You have to understand how God operates using covenants and laws. You have to understand the Bible and how it was written and why it was written. If Satan committed the first sin, why didn’t God just solve the sin problem and throw Satan into hell? Why if God was God and Satan was not, why did God not just get rid of the source of all evil so that none of us would ever have to see it or to understand what it was. Did you know that God could not legally throw Satan into hell. Now God can, after the death and resurrection of Jesus Christ when the end of the world comes, but I’m talking about before Adam and Eve came along. Before, the Old Covenant came into existence, God had no legal grounds to stand on. God’s law in the Old Testament gives God the legal right to throw Satan into hell, if God can get Satan under the law. Did Satan ever get under the law? I guess I’ll need to leave that to another blog. If you did not realize it, God created a perfect world without any sin with Lucifer in charge of all of the angels in the beginning. Maybe you have never studied the Bible and have not seen how that the Bible says that there was a world that existed prior to our world. In this world, Lucifer ruled it and walked among the other angelic beings. In this world existed the Garden of God, a place called Eden. In this world Satan rebelled and this world fell into ruin and was destroyed. There are many people and good Bible teachers who refuse to buy into these Bible verses, but yet they have a hard time of explaining them away. Why was the world covered with water in state of destruction in Genesis 1:2? Why does God describe the world as formless and void in Genesis and then in Isaiah 45:18 tells us that He never created anything that was formless? In Isaiah 45:18 it clearly says that God when He created the earth, it was created to be inhabitable. God uses the same Hebrew word to inform us that the world became formless and void and that was not this way when it was originally created. Scientist through astronomical calculations of light refraction and phase shifts have measured the duration of time for light to reach the earth in terms of billions of years. When we look at stars shinning in our night sky we are looking at light that took billions of years to reach us. Yet we have numerous Bible teachers who want to try to convince you that the world is only few thousand years old. Any intelligent person can simply see that the earth is not that young. If you believe that it is you are promoting a lie and a deception to the people of God and to those who are in the world that are obviously more informed than you are. God is not the deceiver nor is He a party to deception. I guess I got off of the main subject, I’m sorry about that. Maybe I’ll blog on the age of the earth from a Bible perspective later on. There are many complex reasons for the existence of Satan and evil. But, most of these reasons boil down to God giving us a choice. If you see that God is good, that God is Love and still choose not to follow Him and His Word, then you by default belong in the group of goats on God’s left hand. Why is this? It goes back to covenants again. Because people do not understand Bible covenants and what they are and how important they are to God and what He does, people lose sight of why God had to allow evil in our world and could not throw Satan directly into hell. In the Bible a covenant is a marriage contract between two parties. We who have been saved called His sheep are in a brand New Covenant that never existed before to a risen Savior that was never in a covenant with anyone else before. Therefore we are in a spiritual marriage contract with the raised from the dead Jesus Christ (Rom 7:4). If you do not understand Bible covenants, please read my series on “Understanding Bible Covenants“. This new covenant relationship puts us into the category of the sheep and the spiritual realm of the Day and Light. Those who have not accepted Jesus Christ as their Lord and savior remain in the night and the spiritual realm of darkness controlled and ruled by Satan. There are many reasons for this and I have alluded to Night and Day multiple times. If you need more understanding about these spiritual states or dimensions please refer to my blogs on “Night and Day, Understanding the Spiritual Heart of Man“. Here is a verse of scripture that speaks about a marriage covenant contract that contains grave consequences. In a Bible marriage covenant contract, what one party possesses the other party also possesses. This law of marriage works for the positive aspects of marriage as well as for all of the negative possessions that each party owns. For example, if you marry someone in the world today who is on the verge of bankruptcy with in massive amounts of financial debt, after you are married their debt becomes your debt. This is just a basic Bible law. Hopefully, you understand this and can see the cause and effect that this verse in Isaiah 28 contains. Clearly these people in this verse are in a covenant that a God to get them out of. If you go into this chapter and check the context of this verse, you can see who God is speaking to directly in verse 14 of Isaiah 28. This verse is written directly to the rulers of Jerusalem. To be in agreement with and to be in covenant with are synonymous terms for someone who is married to the realms of “death” and “hell”. In this marriage covenant contract, these people now possess a destiny that is very dark and gloomy. They actually have no good future or optimistic outcome or anything to look forward to. Furthermore, there is actually nothing they can do to get out of this contract. It can only be broken or disannulled by God himself. A Bible covenant cannot be easily broken, unlike people’s marriages in our world today. You cannot just go to court and get a divorce from “death” and “hell”. Do you understand what I just said? There are many songs, movies and books that relate to stories of people making a deal with the devil. They usually sell their soul for a few years of pleasurable wealth, fame or other natural earthly gain. These fictional stories mask, mock and make fun of a spiritual reality and most Christian do not even know it is actually a real reality. This is an outstanding verse of scripture that has a vast amount of very important and relevant information for us to understand. It is speaking of how God became a human in the body of a male child named Jesus of Nazareth. We are now informed how God broke the covenant with death that had previously dominated every human on the planet. This verse informs us that God used death to undo the consequences of death. Because God died in the body of Jesus our covenant with death was broken. That of course is not the complete story or results of what happened, but it is an important part of what happened. This verse actually speaks about Satan, the devil directly as the one that God targeted with His death on the cross. You see this verse actually tells us directly that Satan controlled the “power” of death, but that God came to “destroy” him. The Greek word for “Power” means dominion over, strength or might. However, the Greek word translated as “destroyed” does not mean the same thing in the spiritual realm as what we think of when we say it in the natural realm. Most of the time we think of something that is destroyed as something that has been obliterated or reduced to a pile of ashes or something like that. But, obviously Satan is still alive and doing everything he can to kill, steal and destroy from everybody that will let him today. It is important to realize that you cannot destroy a spiritual being! A spiritual being is an eternal being. So to destroy Satan in the spiritual realm means that God came to undo the consequences of Satan’s deception and our sin. By God experiencing death and participating in it, there are many things that transpired that were of severe consequences to Satan. If you remember in Genesis, God told Adam not to eat from the tree of the knowledge of good and evil and if he did, he would die! So we can see how death entered into the world and we can now understand who controlled or held the power of death and this was Satan. So therefore, we can conclude that Adam entered into a covenant relationship with Satan. This covenant allowed Satan to live on this planet as long as Adam time to rule the planet was in effect. In fact Adam’s rulership was transferred to Satan after Adam died. Now Satan was given complete dominion over the earth (Luke 4:6). In a covenant relationship we know that what each party possesses the other also owns jointly. So now Satan was free to rule our planet and Adam and all of his children were now destined for hell. Thank God for giving us a way out. So how was man’s covenant with death and hell rendered harmless? It was through Jesus dying on the cross that loosed us from the consequences of our sins. We know the Bible says that the wages of sin is death, but the gift of God is eternal life (Rom 6:23). That verse is another one that the Universal Salvation teachers like to quote. It implies that everyone is saved according to their interpretation of what a gift is. But, they do err in their conclusion that a gift is automatically accepted by everyone that it was given to. Most people today do not know how to receive a spiritual gift from God? Do you know that it requires you doing something to open a present that has been given to you? How would you open a present that you cannot even see, cannot hold on to, or cannot even verify exists? That is a very tricky question and one that you should figure out the answer to if you haven’t already. Some think that it is just a matter of joining a church. Some think that it is just a matter of saying you are a Christian. Some think that you can be baptized as an adult or as a baby and that saves you. Some think that it is just doing good works and good deeds for others. Some think that it is an automatic free gift to everyone and they have it magically. But, none of these are the correct answer. There are not many ways to God. There are not many ways to be saved. There are not many religions that will work for you. There is only one Absolute Way to God and Salvation and His name is Jesus Christ. He died for your sins and was raised from the dead and now waits for those who will believe in Him. I would be a fool not to tell you the truth. You would be a bigger fool not to believe it. If you haven’t figured it out by now, not everything that you think is always 100% correct and guess what that includes me. I do not know everything and I am still learning new stuff about God and the Bible almost every day. The things that I do know I will tell you boldly with confidence. So you have now read this entire lesson and if you still want to place all of your hopes on the possibility of an universal salvation theory thinking that you have no responsibility or saying in the matter, I guess you have the right to be wrong and go to hell. I know if I just read this and still believed in universal salvation, I would do some more research to make sure I was right. How can you place all of your eggs in one basket and know with the same confidence that I have, that you have not made a fatal mistake? Thanks for taking the time to study the Bible with me and if you have any questions or comments please feel free to leave them for me. God Bless. Posted on March 25, 2010, in Bible Basics, Bible Study, Understanding and tagged Bible, Christianity, Church, God, Jesus, Prophecy, Religion, Revelation, Salvation, Truth, understanding. Bookmark the permalink. 1 Comment. I enjoyed your article although I find it disturbing to a degree. I’m one of those who hold that intellectual integrity is very important when trying to discover the truth about something. In the discussion at hand that would mean taking a good hard look at the verses the universalists use to conclude that God redeems everyone. Can you take each verse in context and dismiss what appears to be the obvious meaning? (By the way I took this approach to the verses used to “prove” the existence of hell, and none of them supported that doctrine when read in context and allowed their obvious meanings. If hell exists it would be very important that the Bible spell it out clearly. Sadly, it doesn’t. Even the verses you quote likely were understood differently by the original audience. 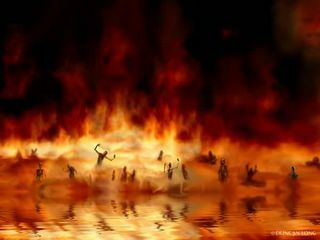 The Bible is not clear that those who don’t accept the gift of salvation by faith will suffer in hell forever. In fact, that passage doesn’t even exist. You obviously have certainty in your beliefs. I’ve learned though that certainty and truth are often strangers.